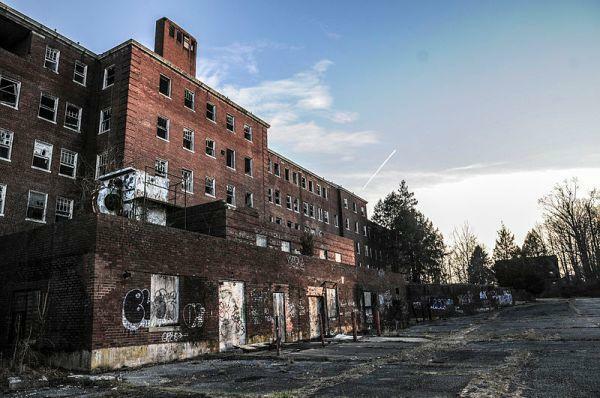 The restless spirits many believe still linger at the former Glenn Dale Hospital in Prince George’s County might want to clear out, or at least prepare for company. That’s because two developers have expressed interest in converting the historic former hospital by Annapolis and Glenn Dale roads into a continuing care retirement community with what could be up to 375 residential units. It’s too soon to say whether either group will actually get the keys to the campus, though, as at least two other redevelopment attempts failed due to the property’s haunted past — or just basic market fundamentals. “I’m excited that we’ve gotten two responses, as this is a project that’s been a long time coming,” Redevelopment Authority of Prince George’s County Executive Director Howard Ways said. Only two firms responded by Tuesday’s deadline to submit qualifications to redevelop the former hospital, which opened in 1934 as a sanatorium for tuberculosis patients but has sat vacant since it closed in 1982. At the same time, Ways said he is encouraged by the prospect something will come of this effort. The firms that responded were The Alexander Co., of Madison, Wis., and Allied Development LLC, according to Ways. Alexander has taken on numerous large-scale, historic preservation projects in the past, including its $110 million redevelopment of the National Park Seminary in Silver Spring into a mix of apartments, townhouses and condos. It’s in the midst of remaking the Lorton Prison complex into a mixed-use campus to be called Liberty Crest at Laurel Hill. Alexander Development Project Manager David Vos said Glenn Dale has many of those same attributes. He believes there is a lot of potential in the property, but it is not something that will be easy to take on.